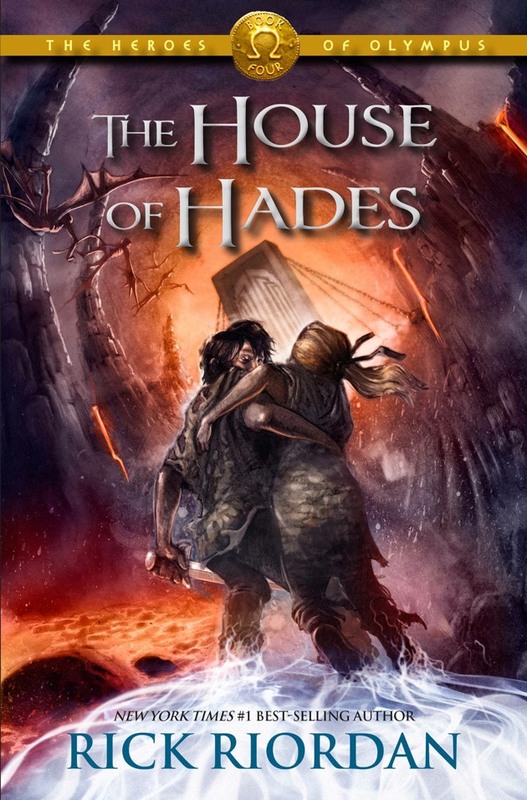 Last year, Thalia Grace, daughter of Zeus, was freed from imprisonment in a pine tree a top half-blood hill. Now, she is busy helping Camp Half-Blood find new Half-Bloods. 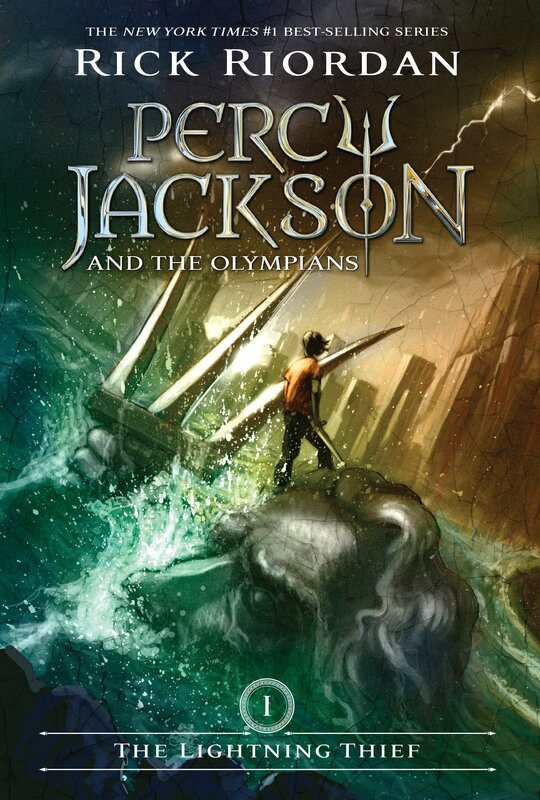 But everything goes wrong when she, Annabeth, and Percy go to Maine to find two new half-bloods. Annabeth goes missing. The Hunters of Artemis show up. And something called, The Great Stirring, is in progress. 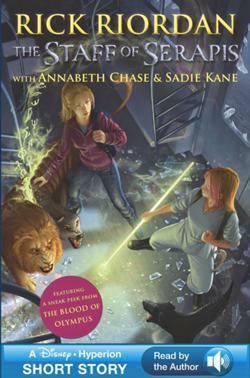 Soon, Campers and Hunters go on mission to find Artemis and Annabeth and return them to Olympus by the Winter Solstice. But what deity or power is powerful enough to trap a goddes? The Titan's Curse was my second favorite in the series. I don't know why, but I liked it. Its that simple. I just liked it. 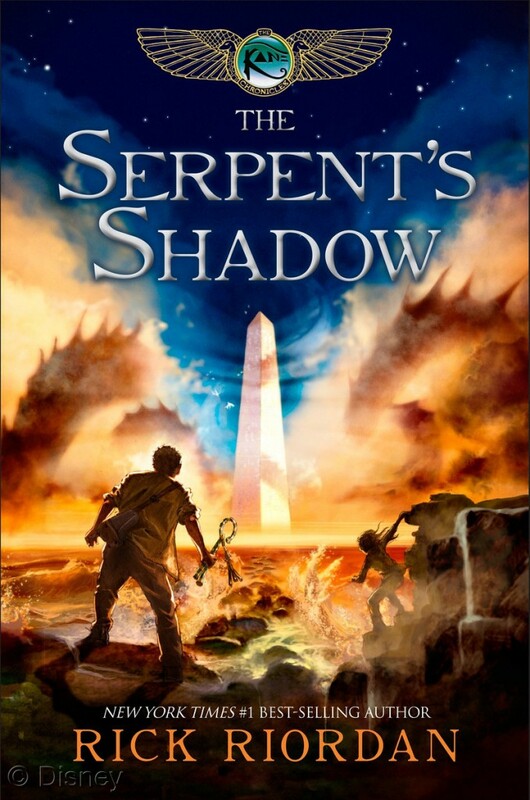 As has become common place with Percy Jackson books, this book starts with a new monster. A manticore. Dr. Thorn the manticore to be precise. I for one, find it odd that the manticore is in the series because, from a mythological basis, the manticore is Persian. I find no references to one in Greek mythology anywhere. So I'm not sure why Riordan added him in here. I liked the character though. I wish more of them come up in the series. This is the first time that we actually see a couple of demigods found and brought back to Camp. The di'Angelo brother and sister. As to their godly parent...I had no idea until the end when its revealed. 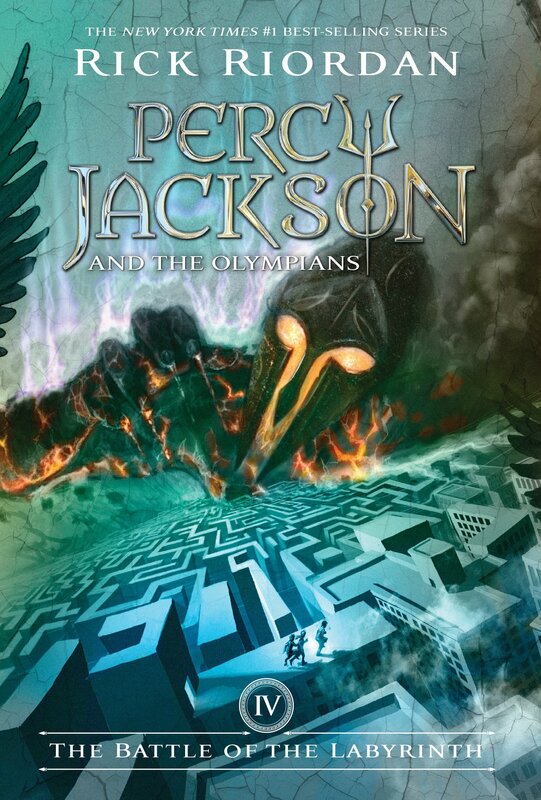 They don't play a super role in this book, but most of the books after this, they have some impact on the story line (especially in the new Heroes of Olympus Series). So. Major battle number 1. Dr. Thorn vs Thalia, Percy, and Annabeth. Not exactly a fair fight. But what happens. Thalia gets thrown from the battle. Percy is seconds from death. And Annabeth does something stupid and decides to jump onto the Manticore. Really Annabeth. Why would that be a good idea!! I guess she learned her lesson though when the Manticore jumps off a cliff with her and ends up taking her to hold up the sky. After that ordeal, I'm sure she won't be jumping on any more Manticore's. We get to me another God here. Artemis. And her hunters. I personally find the Hunter's of Artemis, an odd group. They are just some rag tag team of girls who swear allegiance to Artemis and go around and hunt things. Apparently, they recruit demigods, nymphs, and mortals alike. So you could like be a doughter of Hermes, and pledge allegiance to Artemis. Shouldn't the gods be really against that. Of course, Artemis's lieutenant, Zoe Nightshade, doesn't help my opinion of the Hunter's. Zoe was and is arrogant and self centered. Anything that doesn't conform to her beliefs is unacceptable. And she doesn't like being told no. Because she's told no many times during the story and she never takes it very well. Plus, she freaking assimilates Bianci di'Angelo into the Hunter's without really giving her much of a choice in the matter. She also apparently had some feud with Thalia. Because they seemingly hate each other. Like, a lot. I'm serious. A LOT. Back to Artemis. Why on earth, or olympus, would an all powerful goddess choose to appear as a teenage girl?? Why?? That makes no sense at all. She a freaking God. Appear more godly please. You don't have to be emananting power, but at least APPEAR godly. With Artemis now met, we need to meet her brother Apollo. He's irritating. The constant haiku poems were terrible and stupid. His sun bus is a different story though. That's super freaking cool. I want to drive it. Please Apollo. Please. Thalia didn't seem too thrilled about though. We learn why later. And its kind of funny. But it did prove to be good transportation to Camp from Maine. It took like twenty minutes. With the Hunter's at camp we get to play Capture the Flag. Hooray. This is the second time in Percy's story life. But this one doesn't quite go how the last one did. First off, its campers vs hunters. Now that's a good battle. Hunters with bows vs campers with swords. That's fair. Second, the campers lose. For the two hundred and something time in a row. That like centuries long. Come on Camp Half Blood, you can do better than that (maybe they should make a class for that (How to beat the Hunter's of Artemis at Capture the Flag)). And that sets off a pretty good feud between Percy and Thalia. Thalia shoots lightning. Percy shoots water. And all hell breaks loose. So its pretty much the most epic battle of the series too date. And it doesn't even in injury (BOOOOOOO!!!!). But this is does something for the story. 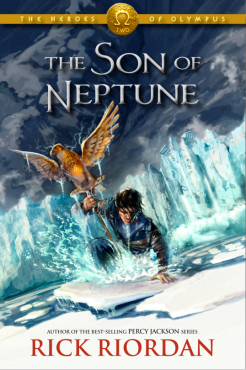 It shows that Percy and Thalia, both children of Big Three gods, do not fully get along. And when they get angry, bad things happen. And one shall perish by a parents' hand. Now. Bessie the Ophiotaurus. Apparently, its somekind of combination of cow and sea serpent. 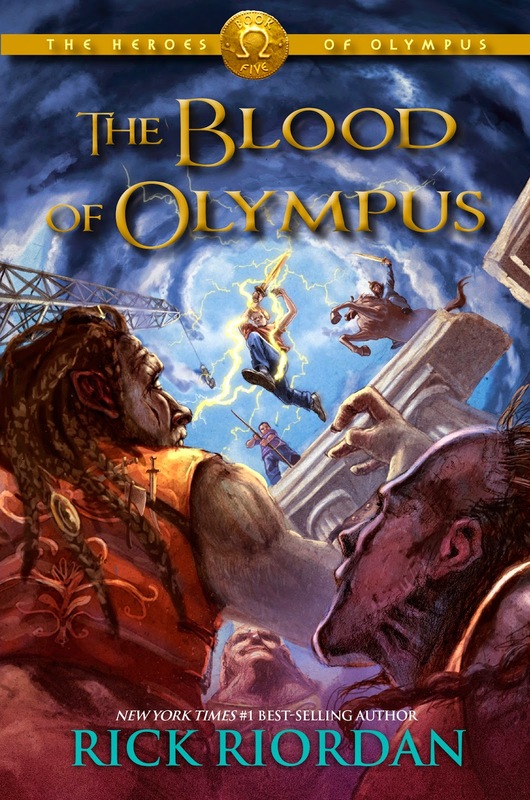 Should its entrails be sacrificed, the sacrificer gains the power to destroy Olympus. So, its pretty important. We wouldn't want that falling into the wrong hands (*cough*Luke*cough*) . Especially since it decides to follow Percy and Thalia around the country on their quest. Next. Percy makes a dangerous promise. A very dangerous promise. To Nico di'Angelo. To keep his sister alive on the quest (the one he was told not to go on). To promise to keep someone alive on a quest is never a good thing to do. Anything can happen on a quest. Anything. 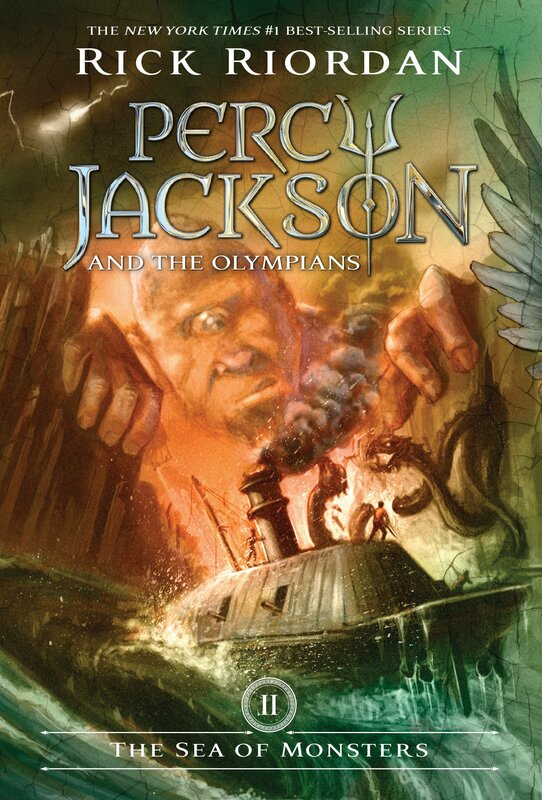 And on a quest where at least two people are supposed to die, Percy shouldn't be making promises to keep people alive. Because if the fates want it to happen, it will happen. And Percy won't be able to stop it. Now, a pegasus. Apparently, being a son of Posiedon involves being able to talk to pegasi. And blackjack pretty much decreed himself to be Percy's personal pegasus. And that horse is hilarious. 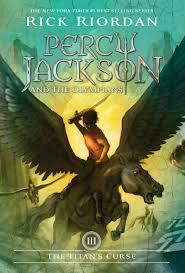 I wanted Percy to fly over the whole damn country with him, because the Pegasus had just as much sass as Percy does. And that's saying something. Too bad the horse only makes it to DC. But that was good enough. And then we get to find out the inner workings of Dionysius. And why he hates demigods and heroes. It apparently all stems back to Theseus and Ariadne. Theseus left Ariadne on some island and left without her. Dionysius saved her and made her his wife on Olympus. Thus, he thinks heroes and demigods are conceited and selfish. That explains a lot considering his attitude towards everyone at camp. This is Percy's first time in DC. Its also his last time in DC. But, at least it's a trip to remember. Skeleton's that don't die. A titan general that commanding Luke and Krono's amies. And the menacing Nemean Lion. All in one or two hours. That was an action-packed chapter. Item-1: the skeletons. The ones that don't die. Unless your related to Hades of course. Then they die. 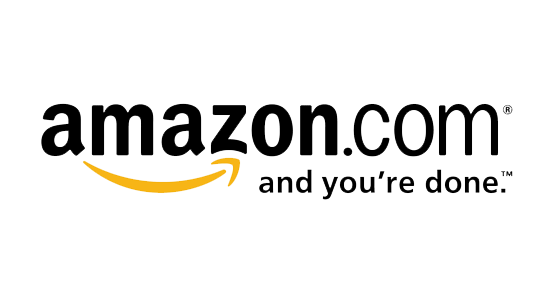 They also track you down by smell. So you can't kill them and they follow you until they kill you. That fun. Item 2: the General. The titan. The leader of Kronos's armies. He's probably a fun dude to be around. And Item 3: the nemean lion. The one that likes space food. That one. He's good cat. Until he try's to kill you. Then he's a problem. Now we get to go with Grover again. Because he's finally found Pan. Or so he thinks. He finds his presence, but that's it. But it the best lead satyrs have had in a thousand years. And all it really was was a gust a wind and a giant angry pig. Meet the Erymathian Boar. The pig of pigs. The thirty foot pig. The demigods and hunters ride across the country. That erymathian boar. And thanks to the boar, we find out that Thalia is afraid of heights. LOL. She a daughter of Zeus, Lord of the Sky, and is afraid of hieghts. That's like Percy being afraid of water. Or Annabeth being afraid of reading. It goes against the nature of her godly parent. How does that happen? HOW DOES THAT HAPPEN?? And then we meet Aphrodite. In his two Greek series, Riordan only describes Aphrodite in detail three times. This is the first. And the least understood. Apparently, Aphrodite is already assuming Percy and Annabeth are a thing, and is planning on making their relationship as difficult as possible. The problem. Percy and Annabeth aren't dating. Maybe later. But not now. So I don't understand the point of this meeting. I guess its just foreshadowing for the relationship to come. The Junkyard of the Gods. What a fun place. And home to the perfect guardian. Talos. A giant metal man. 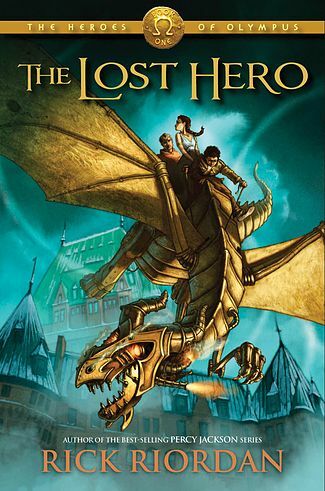 And as I'm writing this, I just thought: why didn't Percy and Leo (HOO) go and get Talos and bring him along to battle the giants in the Heroes of Olympus Series. That would have been a great idea. Then again, Bianca might have kind of killed him when she went inside to control it. I don't think it Riordan planned on using it again after that. Too bad. I liked Talos, while he also wasn't Greek. And this of course, is where Percy fails in his promise. Biance is dead. In the desert. The land without rain has claimed its victim. And as I said. Percy couldn't stop it. Now, after this, the group gets to Hoover Dam. While this isn't super important we get to meet SOMEONE very important. A mortal. Rachel Elizabeth Dare. Someone who could see through the mist. 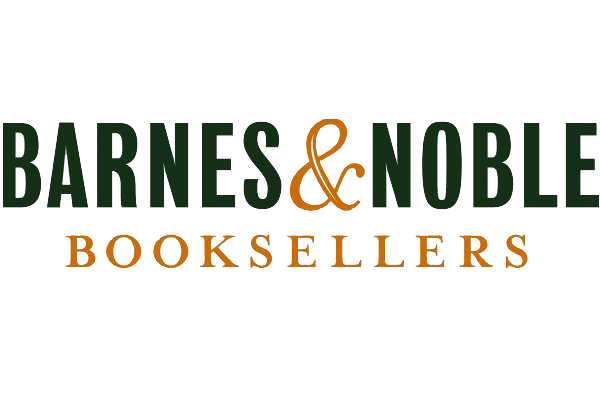 She becomes important in the next 7 Percy Jackson related books. And another new character. Nereus. The one who unriddles the story of the Ophiotaurus. 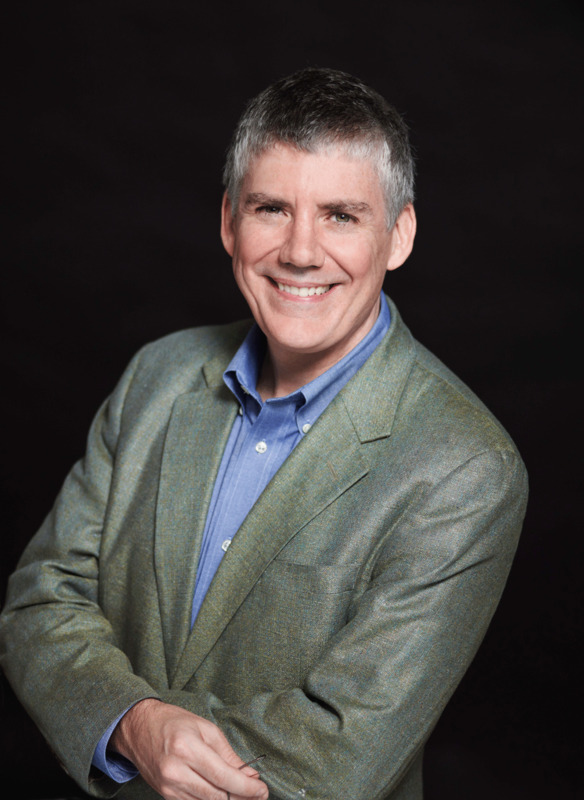 The person who forecasts the fall of Olympus. This is where we truly find out the danger that Bessie poses. Before, we assumed (I assumed at least) that she was just another odd Greek creature. But no. She determines the fate of Olympus. Good thing Luke and Kronos didn't get her. Otherwise the gods and Olympus and Manhattan and CHB would be screwed. So Zoe. Who is she? She is a hesperide, a daughter of Atlas. She helped Hercules steal one of the apples from her tree as one of his twelve labors. And she was exiled for it. Wiped from the face of memory. Utterly destroyed in everything but existence. And she was the original owner of Riptide. She owned Percy's sword. While not important, its an interesting fact. While Mount Olympus is the home of the gods, Mount Othryx is the home of the titans. It is described as being made of jet black stone, possible obsidian. I don't think it is as grand as Olympus, but it is still probably pretty cool. Speaking of Mount of Othryx, we also get to meet its inhabitant. Atlas. The titan general. Leader of Krono's armies. The titan who was condemned to hold up the sky. So WHY is he not holding up the sky? He had Luke hold the sky on orders from Kronos. Annabeth took it from Luke. Artemis took it from Annabeth. And she is still holding it when Percy, Thalia, and Zoe get there. Atlas himself is not important to the series because this is the only time he is in the series, but he is still a cool titan. I would have much preferred him leading the armies in, The Last Olympian, than Hyperion. So of course, a major battle ensues. Thalia battle Luke. Which is pretty one-sided considering Thalia had her terror shield, Aegis with her. She ends up knocking him fifty feet off a cliff. While she does that, Percy free Artemis to battle Atlas. How??? He decides it's a good idea to hold up the sky himself. Looking back on it, that would have been a pretty terrible way to die. Assuming you can die while holding up the sky. I'm not sure what the repercussions for dropping the sky would be. But it probably isn't good. Of course, we don't need to worry about that. This is Percy Jackson. He would never drop the sky. But the battle isn't a complete success, even after Atlas is trapped under the sky again. Because the final line of the prophecy has come true. Zoe was killed by her father. Praise Atlas. Thank you. I was really getting tired of Zoe and I'm glad she died. It was fitting. And I didn't want to see her in a future book. She would have irritated me more. And so, the entire point of the quest comes up. The Council of the Gods. Where the gods decide whether they are going to kill Percy and Thalia or not. I agree with Athena's point of view. They are both too dangerous to be left alive. If they are killed, there is no danger posed by the prophecy. There would be no more children of the Big Three (or so they think). I think that's the smart thing, and what the gods should have done. But alas, that can't happen in a book series. You can't kill off the protagonist before the last book. That would be anti-climactic. And so they are let to live. But Thalia has become intelligent. She knows that she turns 16 in a few hours. And she thus pledges herself to Artemis. So as to ensure that she can't be the child of the Prophecy. Good job Thalia. You had a good idea. But I don't necessarily think she would be the best hunter. She seems to have problems with them in the past (more like problems with Zoe) and she seems to not care for some of there rules. But she pledged anyway. Speaking of Hunter's: would Annabeth have made a good Hunter? Yes. A much better one than Thalia. She's smart. She's a good fighter. She's realistic. And she embodies most of the ideals that the Hunter's have. She would have made a good hunter. Thalia does not make a good hunter. And Athena. She apparently does not approve of Percy's relationship with Annabeth. Not they legitimately have on yet. 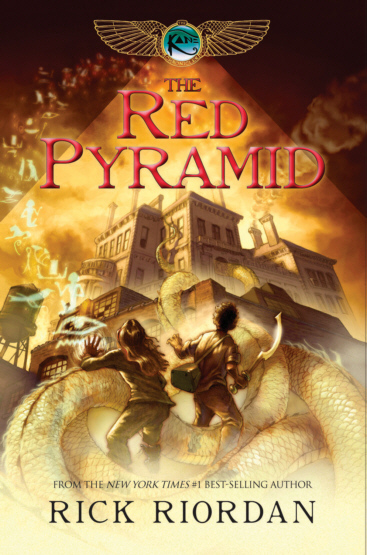 This is more foreshadowing from Riordan. He's telling us that they will eventualy be a couple. 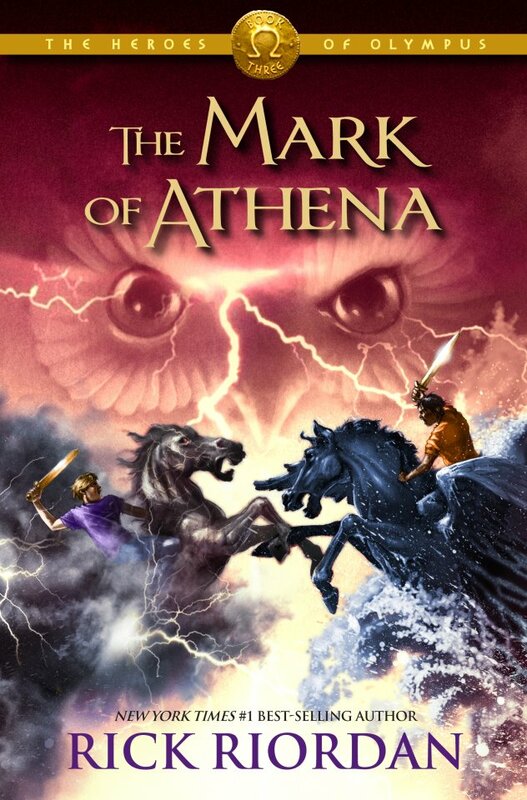 Athena also tell us what Percy's fatal flaw is. Loyalty. He is too loyal to his friends. As she said, he would destroy the world to save his friends. And while not a bad thing, if it comes down to the world or a friend, Percy needs to think big picture. Which he does not do well. Thank you Athena for that insight into Percy's character. And that leaves Nico. The son of Hades. Yes, the Son of Hades. Hades apparently place him and Bianca in the Lotus Hotel and Casino sometime and stopped their againg. Then he got them out and placed them in Maine. That gives Kronos yet another way to fulfill the prophecy. It's a good thing Thalia pledged herself to Artemis. Otherwise, Kronos would have three options to choose from; with Nico being the easiest to convert. That's it. 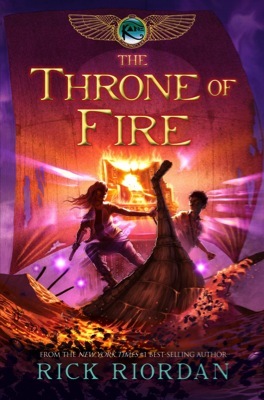 My second favorite book in the series is fininshed. But Kronos is still rising. Luke is not dead. 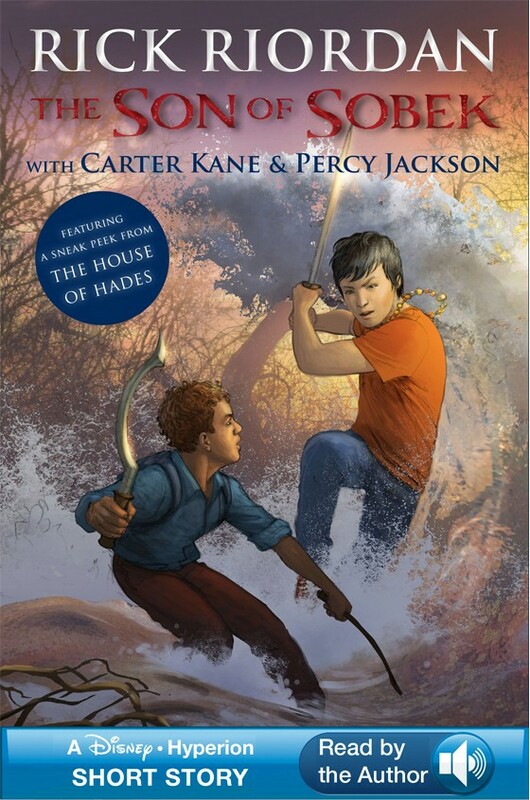 And Camp Half-Blood is about to be challenged like never before. 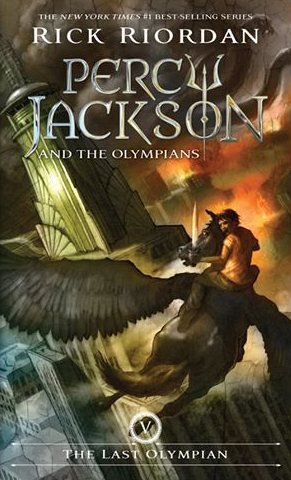 Read, The Battle of the Labyrinth, to see the beginning of the end for Olympus.